Cooperative learning helps create the essential skill of working (and compromising) within a group. Anna: What will we call it? Frances: How about The Mean Girls Club? Look, I can draw them with mean faces. Anna: Why are they mean? Frances: I don't know. Maybe someone was mean to them. Anna: Let's make them be nice -- first mean, then nice. Frances: Then what will happen to the club? Anna: It will be the Nice Girls Club. Look, on the title page we can put a line through mean and write nice above it! Just then, their teacher, Mrs. Geni, flicks the light switch, signaling that it is time for students to wrap up their writing projects and gather in a large group. Frances and Anna, knowing they can pick up on their project tomorrow, clip their notes and sketches to the storyboard and put it on the shelf. Anna, Frances, and the other second graders in Mrs. Geni's classroom, in Evanston, Illinois, are learning not just reading and writing but also essential skills for success in the twenty-first century: collaboration, critical thinking, problem solving, creativity, and innovation. What were once called "soft" skills in the workplace are now essential, key to the success of the business enterprise and the individual worker: working on teams, taking responsibility for one's piece of a larger project, planning for the future, and completing the plan -- these are the gears that will drive their personal and professional lives. All involve cooperative learning. In cooperative learning, students are organized into small groups and the teacher announces a common goal. self-awareness: recognizing feelings and identifying interests, strengths, and weaknesses. self-management: managing feelings and behavior to control impulses and persevere in achieving important personal and academic goals. social awareness: understanding the needs and feelings of others, while appreciating similarities and differences among individuals and groups. relationship skills: maintaining positive relationships with others. responsible decision making: making good choices and contributing to one's school, one's community, and the world. Studies of cooperative-learning strategies regularly report an increase in engagement and active participation in the learning process, which in turn increase student motivation, time on task, and retention times and improve cognitive reasoning and the ability to see from others' perspectives. Some teachers feel uncomfortable with cooperative learning because it requires that they assume more of a facilitative role than a direct instructional one. And students occasionally complain about not being able to work with friends or being unfairly assessed because one student in the pair or group doesn't do his or her share. So, how do we make cooperative learning work? One important point: Groups may be fluid, becoming larger or smaller in relation to the instructional goals. For instance, Anna and Frances are a writing team during one two-week period, but they separate for a later science project. Positions within the group can also change. Mary Tavegia, principal at Cossitt Avenue School, in LaGrange, Illinois, emphasizes the need to match students and roles: "The teacher must ask 'What, developmentally, do we expect of kids at this age? What can I expect of this particular child?' You don't take a student who has trouble communicating and set him up to fail by making him the group's discussion leader right off the bat." Johnson and Johnson say teachers must quickly establish the rules and procedures around working in a group. They point to the importance of each person supporting and encouraging their peers in their roles so that together they are able to achieve something none can do on his or her own. Teachers should also structure the task so that each student's contribution is important to the whole, and so that each has the chance to promote the others' success by helping, encouraging, and praising one another's efforts. No one is dispensable in cooperative learning. A class debriefing and discussion should follow the group work. Students can then reflect on whether their group's goals were attained, whether they got along during group work, and what other strategies they would use next time. Through this process, students come to understand that the success of their group, and therefore their individual success, depends on each person's full participation. Debriefing is instructional for the teacher as well, providing useful feedback for shaping the next cooperative-learning project. Tavegia also emphasizes that cooperative learning should be seen as an "instructional and learning opportunity, not a grading opportunity." This perspective, she adds, eliminates the concern that cooperative learning is "unfair because only a few might do all the work, while everyone gets the same grade. Everyone is unhappy when it is used for grading." Cooperative learning provides opportunities for group learning that, sadly, are declining outside the classroom. Daniel Goleman, author of Emotional Intelligence, contends that in light of declining opportunities for free play without adult supervision and meaningful ways to contribute to their communities, American kids are getting worse at cooperation, at being able to work things out and control their impulses. "You can't blow up in a group and get away with it," he says. "The group exerts a pressure, a force for helping a child want to learn to get along with others. It's a wonderful place to learn emotional intelligence." Getting along with others, being able to see another's point of view, and managing one's own emotions help students stay on task and maintain positive peer relationships to achieve group goals. It also turns out that children who have these capabilities are better at paying attention, taking in information, and remembering what they read and hear. SEL programs teach such skills intentionally and experientially; cooperative learning provides opportunities for practice and reinforcement. Many instructional methods are based on cooperative learning and SEL skills. For example, in the academic-controversy approach, teams of students research and present first one side of an issue and then the other. Then they work with an opposing team to develop a report that combines the best points from both perspectives. Another example is called the jigsaw, in which each student takes responsibility for preparing and presenting part of a lesson to the others in a group. 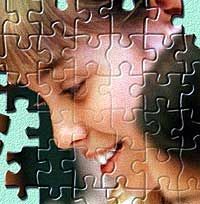 Even though each child prepares only part of a lesson (a piece of the puzzle), all receive the entire lesson (the entire puzzle) because of the complementary roles of teacher and learner they have assumed. Cooperative group learning using SEL skills is also central to project-based learning, where a group of students studies a real-world problem using original documents and data. (See "New Skills for a New Century: Students Thrive on Cooperation and Problem Solving.") The group work results in a report, which is often presented to families and the wider community and may include practical recommendations on ways to address the problem. 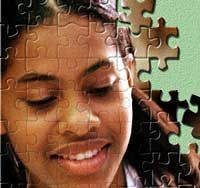 Project-based learning gives students an appreciation of the complexity of real-world problems and the intellectual and SEL skills needed to solve them. This is also a powerful source of feedback and student learning. Cooperative-learning groups are a key supporting instructional method used in teaching SEL skills. Although the sophistication of the SEL instruction will vary with children's developmental level, the characteristic feature of cooperative learning -- working together to achieve shared goals -- is the same regardless of grade level. In the early elementary grades, for example, class meetings are a setting for cooperative learning of self-awareness, assimilating perspectives, and group problem solving. Children greet each other by name, share how they feel and perhaps present a favorite object from home, participate with their peers in a noncompetitive activity, and perhaps monitor progress on a classwide project. In cross-age mentoring, a cooperative-learning method used in the upper elementary school and middle school grades, students of different ages work together over an extended time on academic or service-learning projects in every subject area imaginable -- language arts, social studies, and art assignments, as well as science, math, and technology projects. (Both older and younger children first learn and practice in the classroom the SEL skills they need to work well together.) Such projects offer rich opportunities to use and develop one's strengths, listen to and give feedback on alternative approaches, and resolve interpersonal conflicts. What about the adults in the building? They, too, can benefit from cooperative learning that builds on their existing SEL competencies. Faculty and staff who participate in joint study, instructional planning, and teaching initiatives are energized, rather than overwhelmed, by all the new information coming their way every day. Changing the school climate as an individual seems herculean; reforming it as part of a cooperative venture becomes not only doable but also gratifying. Moreover, teachers who are engaged with other adults in the building in supportive and respectful ways are more likely to stay on the job and less likely to burn out. 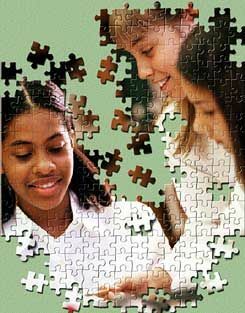 Johnson and Johnson's research revealed that cooperative learning is consistently more effective than either competitive or individualistic learning in promoting student enhancement of intrinsic motivation and effort to achieve, material retained, the quality of interpersonal relationships, reasoning skills used, psychological health, and academic achievement. These learning outcomes held across various content areas, grade levels, countries, and decades. Cooperative learning yields benefits whether students work together for only a few minutes in ad hoc groups to summarize and reflect on the key points of a lesson or are members of a yearlong study or a project-based-learning group. Even socially isolated students and emotionally disturbed adolescents learn SEL skills better and are more likely to interact appropriately with others when taught in cooperative-learning situations as opposed to more traditional ones. Cooperative learning not only supports academic success but also teaches students that their own success is not dependent on opposing that of others. This is healthy preparation for participation in the complex and conflicted world of the early twenty-first century. John W. Payton, Susan Munro, Mary Utne O'Brien, and Roger P. Weissberg work at the Collaborative for Academic, Social, and Emotional Learning (CASEL), at the University of Illinois at Chicago.